At the Law Offices of Kenneth P. Carp we understand the complexities of the law that unemployment judges apply in determining whether someone is an independent contractor for unemployment purposes. There are many factors applied during an unemployment hearing to determine independent contractor status and these are difficult hearings which require the expertise of the Law Office of Kenneth Carp. The state is interested in collecting an employer’s tax dollars and, can use any of twenty criteria to determine independent contractor status and all of the criteria do not have to be present for them to categorize an independent contractor as an employee. The state can make this determination years after an employer has been paying someone as an independent contractor. An independent contractor agreement you and the employer is not a guarantee that unemployment benefits won’t be paid. There are a number of reasons the state will look at your independent contractors. States perform random audits which challenge the status of independent contractors. Some states send questionnaires directly to “independent contractors” without an employer’s knowledge. These seemingly innocent questionnaires can cause financial jeopardy. Needless to say many employers find themselves before an unemployment appeals judge when their former independent contractor files a claim for unemployment benefits. 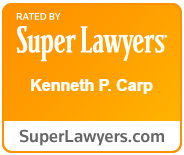 When a former independent contractor wants unemployment benefits and the state wants an employer to pay for those unemployment benefits the risk needs to be addressed with the commitment and expertise of the Law Office of Kenneth Carp. Call us at 636-947-3600 and let our founder attorney Kenneth Carp help you with your independent contractor hearings or assist in making the independent contractor status.